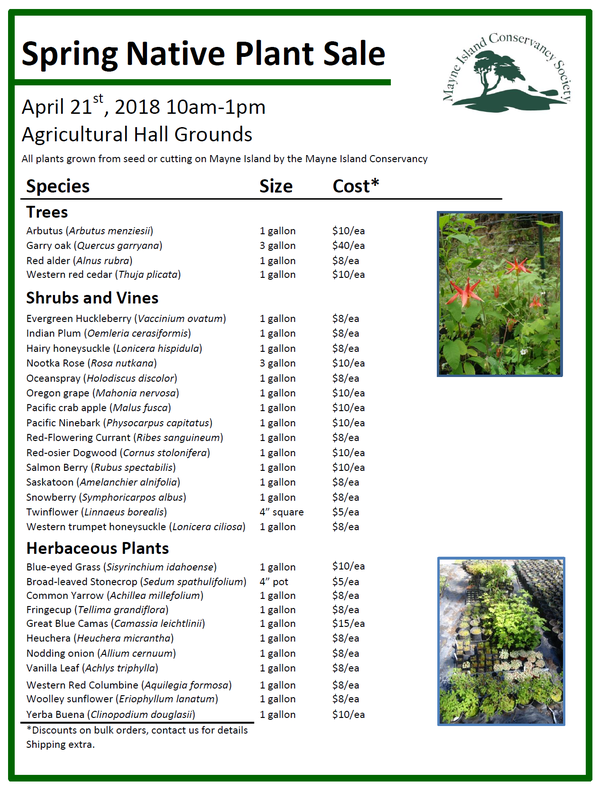 Come check out our great selection of island-grown native plants for sale on April 21st from 10am-1pm at the Agricultural Hall Grounds. 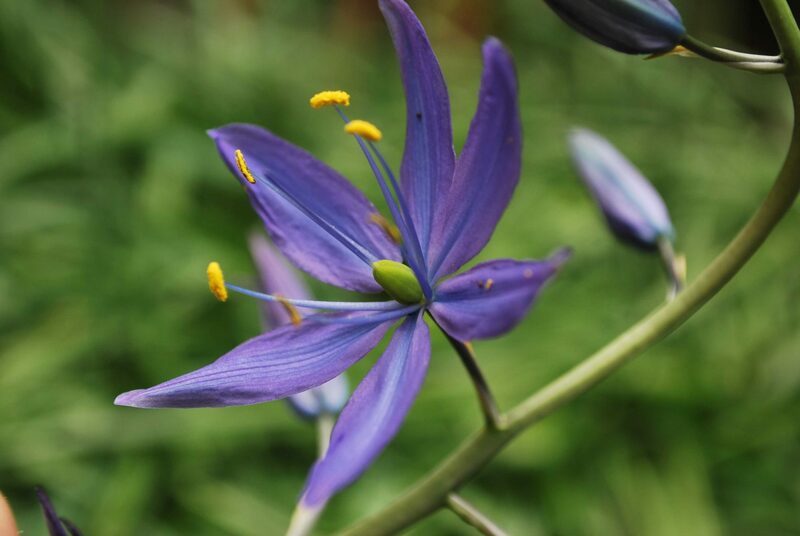 Native plants provide food and habitat for other plants, animals, and insects. Our nursery manager Rob Underhill will be on hand to help you choose the right plants for your location.If you have questions about what to plant where, contact Rob Underhill to set up a free site visit. Email Rob here. Since these are all native plants, are they all deer resistant? If not, which ones are? Yes, all the plants we grow in our nursery are native. However, very few of them are deer resistant with our current deer populations, which is a big problem for all plants and animals on Mayne Island. Deer resistance is a product of deer density, and deer density across Mayne Island is not consistent. Like us, deer have preferences in which foods they eat, and will eat things they don’t normally eat when they start to starve. I have heard reports of deer eating all the plants we sell, even vanilla leaf and evergreen huckleberry, which are at the very bottom of their preference list. If I were to list plants we grow in order of least favorite to deer they would be: vanilla leaf, yerba buena, evergreen huckleberry, sword fern, dull Oregon grape, Nootka rose, and salmon berry. In addition, twinflower and broad-leaved stonecrop grow so low they are typically not browsed by deer.